In an effort to provide valuable membership benefits, the NGCOA is working to forge relationships with the industry's leading suppliers of products and services for golf operations to add to our Smart Buy program. Join us in welcoming our newest Smart Buy partner, BrandShield. Every day, more and more course owners and operators are realizing that their websites don't appear first in an online search. In worse cases, some are finding their brand has been highjacked by third parties seeking to profit from their course's good name. Fortunately, there are steps you can take to protect your online presence and that is where BrandShield comes in. BrandShield is revolutionizing online brand protection. Its technology-based solution provides an advanced and automated metrics driven analysis of online risks, as well as advanced enforcement tools. Its robust, patented technology finds trademark infringements, counterfeits and brand abuse across multiple platforms including Websites, e-Commerce Marketplaces, Mobile Apps, PPC Ads and Social Media. 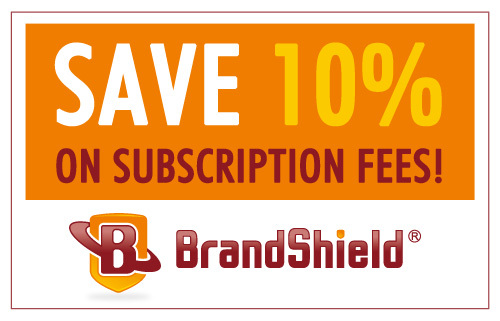 Visit www.BrandShield.com to learn more about the product and the various subscriptions to protect your brand. 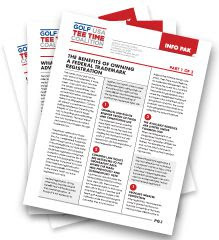 To learn more about issues related to keyword search engine optimization, including Google AdWords, brand highjacking, diversion of legitimate web traffic and trademark infringement, view the three-part series of whitepapers produced by the Golf USA Tee Time Coalition, a joint venture between the National Golf Course Owners Association and the PGA of America. 2 pm EST) hosted by NGCOA that will discuss the overlap of trademarks and keyword advertising, share tips for protecting your brand online, and answer all of your questions concerning this issue. This email was sent by the National Golf Course Owners Association. To unsubscribe, please click here.